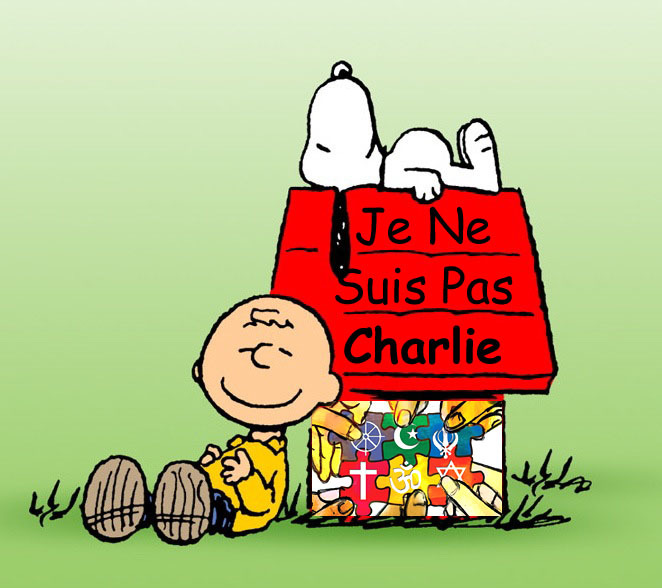 Combining the Maggie Simpson and Je Suis Charlie icons (as FOX did) should raise a few eyebrows. For some I Am Charlie refuseniks, throwing total support to the magazine is too simplistic an answer to complex problems. One of the best articles highlighting the contradictions is Scott Sayare’s here in The Atlantic. The ultimate answer lies in insight, religious tolerance, and balancing freedom of speech with freedom of religion, freedom from vilification, and respect for the dignity of each person. The Islamic extremist message gains traction from the free speech extremist message, and vice versa. The reasonable middle becomes harder to locate. When free speech is balanced with wisdom and compassion, it’s easier for people to eke out a middle ground where they begin to hear each other. Neither Islamic extremists nor Charlie Hebdo represent that fragile middle ground, though obviously the terrorists who killed people perpetrated an infinitely greater wrong than the cartoonists who provoked them. The controversy surrounding Charlie Hebdo doesn’t occur in a vacuum, but rather against a backdrop which includes the French law banning Muslim women from wearing headscarves in some places. Hijab is the headscarf worn by many Muslim women. I am neither French, nor Muslim, nor female, but I know of no one who favours religious tolerance who thinks the French ban on headscarves is enlightened social policy. Rather, it tends to create hurt feelings and an anti-assimilation backlash. The distinctly French view that the entire public space must be secularized through rigid laws banning religious garb and religious expression is an extreme view which is ultimately incompatible with the Universal Declaration of Human Rights. While not everyone is religious or spiritual, those who are contribute much to the beauty, wisdom, and colour of the world we live in, and also have a role to play in finding solutions to society’s problems. Spirituality is a natural part of life. Although it’s often convenient and appropriate to distinguish between the secular sphere and the religious sphere, the boundaries between them should be fluid, like the shoreline and the sea. Religious freedom means the freedom to live life integrally and not be forced to doff one’s hijab, yarmulke, or sari for fear of being arrested, ticketed, or refused entrance to a public facility. These are differences which need to be worked out peacefully through respectful dialogue. In closing: I sometimes feel guilty about repeating certain themes, such as the need for religious tolerance. But this message needs to be repeated a thousand different times in a thousand different ways, because it’s key to building our future world. Religious tolerance isn’t the end of a conversation, it’s only the beginning of one! Religious tolerance comes through insight, and this insight is achieved through education, study, and soul-searching. That’s a little harder than choosing a prefab opinion from Column A or Column B, but the results are worth it! Weighing in on Maggie Simpson’s flag-waving for Charlie Hebdo. Do Maggs and Charlie really go together like vanilla ice cream & apple pie? Can Richard Engel, Ursula K. Le Guin, or Hanna-Barbera offer any insights? This post was originally titled “Using Children To Market Toxic Products Is Wrong,” which seemed to confuse people. I was making the rhetorical point that Charlie Hebdo (the magazine) can be rather carcinogenic. Populism has its limitations; the majority is often wrong. Combining the Maggie Simpson and I Am Charlie icons is something we should examine for signs of propaganda. Juxtaposing Maggie Simpson with an actual Charlie Hebdo cover may reveal a mismatch. To build a more civil society, we need to respect each other’s sensitivities and not intentionally desecrate each other’s images. We can enjoy robust freedom of speech without giving license to hate speech. Richard Engel made a useful comment about how the I Am Charlie phenom was perceived in the Middle East. I portray Charlie Brown & Snoopy as serene I-Am-Charlie refuseniks who’ve put together the “puzzle pieces” and arrived at religious tolerance. The Charlie Hebdo controversy occurs against the backdrop of a French law banning Muslim women from wearing headscarves (hijab) in some places. The French are trying to create social cohesion by suppressing religion and imposing drab, secular sameness. I tie this in with The Lathe of Heaven by Ursula K. Le Guin. Religious freedom means the freedom to live life integrally, with all its colours and complexities on display. Suppression can lead to an anti-assimilation backlash. France is still wavering between a number of polar opposites such as colonialism vs. multiculturalism. 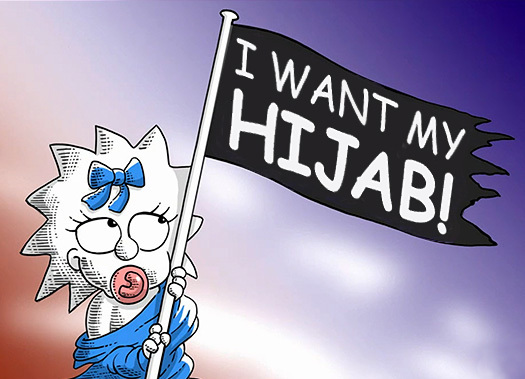 What would it look like if Maggie Simpson waved a flag demanding the right to wear hijab? French policemen wear uniforms, and so do Catholic nuns like Thérèse of Lisieux. True égalité means not discriminating against a component of the uniform as a proxy for discriminating against the faith. Joe Camel and the Flintstones are cartoon characters previously used to market toxic products (cigarettes). I feel bad when I can’t side with the majority on an issue. Then I hearken back to my college days and a professor who used to “prove” that the majority is always wrong. He would pose a difficult question in music theory, then offer up some multiple choice answers we could vote on. Sure enough, the majority usually voted for an answer that was tempting but wrong! I feel worse when I notice that being wrong often carries with it a certain smug satisfaction. Some people pride themselves on having the right clothes, the right attitudes, being in the right profession, etc. This can lead to arrogance, hubris, and loss of independent thinking — the latter sometimes exacerbated by social networking sites where people can crowdsource their opinions. No soul-searching required or points deducted for being wrong. In writing about the persecution of Socrates and related topics, I’ve tried to point out that excessive populism does have its pitfalls: Popular opinions are often arrived at without scrupulosity; they’re easily bought, sold, and otherwise manipulated. What should we make of the use of Maggie Simpson to market a magazine that can be crude, tasteless, and vulgar? 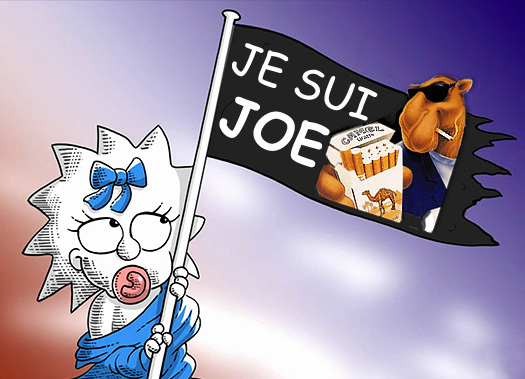 In case you missed it, on January 11 The Simpsons concluded with baby Maggie holding up a flag sporting the now iconic “Je Suis Charlie” slogan. Okay, to be fair, maybe this wasn’t intended to market the magazine, just express support for the cartoonists who were killed in a brutal terrorist attack, or for free speech generally. A meditation on balancing free speech with wisdom, compassion, and respect for human rights. Examination of the value of anti-vilification laws meant to foster social cohesion. Pushing free speech to 11, and a gratuitous Spinal Tap video! Over the years I’ve tried to cultivate the capacity to look deeply at things, to avoid pushbutton positions on issues. In viewing media coverage of the tragic and unwarranted attacks on Charlie Hebdo, it was hard not to be moved by the millions of people and organizations who began sporting “Je Suis Charlie” banners in solidarity with those killed. Yet I couldn’t quite jump on the bandwagon. Maybe there’s something wrong with me, I thought. A couple of days later, I discovered I was not alone. There was a countermovement of people who felt horrible about the terrorist attacks, but also felt like total identification with Charlie Hebdo was too simplistic a response. You see, I often write in favour of religious tolerance, and speak out against vilification of spiritual minorities. I feel that to build a more civil society, we need to respect each other’s sensitivities, and not be in each other’s faces with our differences. Elsewhere, I’ve pointed out that some Commonwealth nations have enacted anti-vilification legislation which doesn’t seem to have impacted free speech, but does seem to have cut down on gratuitous hate speech targeting minorities. In posting about cyber civil rights, I’ve echoed the views of feminist law professors like Mary Anne Franks who claim it’s a myth to think that legislation designed to cut down on hate speech would mean the abolition of free speech as we know it. It is possible to distinguish between heated debate on issues of consequence, and hateful or harassing speech intended to drive people offline (particularly women and minorities), in effect silencing them. A tolerant society gives people the space to freely choose their faith or non-faith without fear of reprisals. It doesn’t punish minority choices. There’s a sense in which I hate writing about the struggle to vouchsafe spiritual freedom. I would much rather write about art, music, or the joys to be discovered by exploring spiritual pathways. But there are people intent on closing off those pathways, so discussions of religious freedom (and how the ACLU has helped safeguard it) are sometimes needed. In Part 1, much of our focus was on John E. LeMoult’s seminal study “Deprogramming Members of Religious Sects,” and on the ACLU’s parallel study of deprogramming which likewise led them to condemn the practice. We examined the case of Donna Seidenberg Bavis, a Hare Krishna devotee who was abducted by deprogrammers, but was later helped by the ACLU in getting compensation, with the ACLU acting to curb civil rights abuses by rogue attorneys. BRAVO ACLU! Currently in the U.S., anti-cult tactics favour psychological coercion over physical coercion, but the principle is the same: If you can make it sufficiently painful for someone to remain involved with a minority faith group, they may recant simply to avoid further pain. If you can make them feel like a “member of a hated class,” they may recant in order to avoid being hated and discriminated against. This is the context in which we should understand the contemporary use of hate material vilifying religious minorities and their spiritual leaders. John LeMoult noted that the cost of a deprogramming (in 1978) could run as high as $25,000, and that deprogrammers often have no special training other than an ability to bully. In subsequent decades, there’s been an effort on the part of anti-cult groups like the American Family Foundation (a.k.a. International Cultic Studies Association) to turn deprogramming into a mental health “service” — to make paid faith-breaking the province of those psychologists and psychiatrists not barred by personal ethics from engaging in it. For more on this phenomenon, see “Deprogramming Seeks a New Identity,” by Anson Shupe and Susan E. Darnell. That new identity is “exit counseling,” which unlike deprogramming, does not typically entail abduction. In the U.S., physical coercion has been largely replaced by psychological coercion. This often takes the form of gaslighting, i.e. falsely equating the choice of a minority faith with mental illness. The power dynamics tell a different story. Notwithstanding the fig leaf of “cult education” or “rehabilitation,” aggressive majoritarians are using psychological techniques to bully or entice minority adherents into conforming to mainstream secular values. As I discuss in “Hate Propaganda and Anti-Cult Ideology — What’s Wrong Here?”, such euphemistically described treatment is based on pseudoscience. Faith is not a form of mental illness, and when faith-based phenomena are misclassified and jargonized as psychological maladies requiring “intervention,” this constitutes a major category error leading to civil rights abuses. It’s one thing to disagree with someone’s spiritual choice; it’s quite another to use harsh social control measures and/or hate propaganda to penalize that choice. No doubt, some of those employing harsh measures believe they’re doing good — that no one could possibly be happy making minority choices, and that such choices must be punished or outlawed in order to force people to be happy the way that society thinks they should be happy, based on a largely egoistic and materialistic world view. But when social control measures are used to force people to conform to a lifestyle they did not choose and do not want, we call that repression. The situation is not unlike the repression of dissidents in Eastern Europe by confining them to mental institutions, simply because they disagree with the dominant political ethic. The shared belief on the part of the repressors is that non-conformism is dangerous, and people would have to be crazy to disagree with those who comprise the ruling elite — society’s rule-makers. If some political elites want to forcibly dominate the political landscape, the anti-cult elite wants to dominate the spiritual landscape by enforcing its particular view of reality on society at large. To anti-cultists, reality is primarily a secular phenomenon, with perhaps some room for milquetoast religions in a minor role, but no room for spiritual movements which entail a depthful commitment that’s integral to daily life. Yet, for those who share the vision of a society built on tolerance, reality is a rich enough phenomenon to accommodate both secular and sacred lifestyles. There’s no reason to force rigid secularism down people’s throats, or to close off spiritual pathways through fear-mongering and repressive measures. A tolerant society is one which has room for everyone, providing the space for each person to freely choose their faith or non-faith without fear of reprisals. This is what Evelyn Kallen means when she opines that freedom from vilification is a human right. It’s been jokingly suggested that anti-cultists have no objection to religion as long as no one takes it seriously (shades of repressive tolerance). Yet, in Part 1 we explored the phenomenon of religious conversion via William James, Carl Jung, et al. When an individual has a genuine conversion experience which turns her spiritual interest from “cold” to “hot,” that’s precisely when she runs afoul of anti-cultists, who want to redefine her strong spiritual interest as mental illness. Anti-cultists may subject the minority adherent to a “cult intervention” which is alleged to be a non-coercive mental health intervention. Yet, questions remain unanswered, such as why a person who adopts a minority faith should be singled out for a mental health intervention when the prevailing scientific view is that he/she suffers from no mental illness. Falsely attaching the stigma of mental illness to the choice of a minority faith would, on its face, seem to be coercive, since no one wants to be labeled mentally ill. The implicit threat is: If you continue to believe and practice as you do, we will judge you insane. How is that not coercive? The ACLU has often fought for the rights of minority adherents, including Eastern spiritual seekers. BRAVO ACLU! I might not be able to avoid criticising some attorneys for harassing minority faith groups. But my purpose here today is to praise the American Civil Liberties Union for often coming to the rescue of minority adherents. The backdrop for understanding these issues is this: America was built on noble ideals of religious freedom which are part of its very soul. Yet, religious freedom is not a given; it must often be won and re-won by successive generations of immigrant groups or new faith groups which spring up indigenously. Counterbalancing the ideals of religious freedom, we sometimes find that conformism, populism, and authoritarianism lead America in a quite different, less flattering direction. Pot-smoking, motorcycle-riding kids become serene quoters of Scripture or oriental tracts. Young people doff sweaters, sneakers, and blue jeans for ties, jackets, long skirts, or flowing saffron robes. Parents assume their once normal offspring have lost their minds, been “brainwashed.” But what has clearly happened is that the young people have undergone a thing called conversion. To most Christian groups, conversion is a sudden infusion of grace into the soul, a new birth, accepting Jesus as one’s personal Savior. To eastern religions, it is a slower opening to the awareness of God within oneself, or the universal Self or Soul or Consciousness underlying all Being. It is achieved through chanting, yoga, or some form of meditation, and through the abandonment of the lower self (the ego with its base desires). By means of detachment, one attains a higher state of enlightenment and oneness with the essence of the world around him. The conversion experience has been well described by [psychologist] William James in The Varieties of Religious Experience. He considers it a crystallizing of unconscious aims and wishes, previously “incubated” in “cold” centers of the mind, and suddenly becoming “hot” — brought to the surface by some crisis or experience and occupying the center of one’s thoughts and activities. James says this happens particularly to people in their teens, and that certain psychological and emotional changes are characteristic of all conversions. The fact that a dramatic change takes place in a converted youth is neither new nor sinister. It may simply be a case of arriving at a new identity, perhaps a “negative identity” with respect to the role offered as proper and desirable in one’s family. One possible explanation for parents’ opposition to new religious sects may be the rejection of materialistic values by some of these sects. In this success and status oriented society, the true religion is often the acquisition of money, material goods, and power. Religions that eschew such goals attack the most dearly held values of the depression era generation and hit a raw nerve of hostility. No one has proved that any religious sect which has been the target of deprogramming engages in physical restraint, abduction, or any other such practice. What is probably true of most such groups is that they offer warmth, friendship, authority, and a prescribed course of conduct laced with plenty of dogma. No doubt there are serious efforts to influence the thinking of the new adherent, but these are clearly not “brainwashing,” since the adherent is free to depart if he chooses. The new, and I believe dangerous, element in this conflict between parents and children is “deprogramming.” Deprogrammers are people who, at the request of a parent or other close relative, will have a member of a religious sect seized, then hold him against his will and subject him to mental, emotional, and even physical pressures until he renounces his religious beliefs. Deprogrammers usually work for a fee, which may easily run as high as $25,000. The deprogramming process begins with abduction. Often strong men muscle the subject into a car and take him to a place where he is cut off from everyone but his captors. He may be held against his will for upwards of three weeks. Frequently, however, the initial deprogramming only lasts a few days. The subject’s sleep is limited, and he is told that he will not be released until his beliefs meet his captors’ approval. Members of the deprogramming group, as well as members of the family, come into the room where the victim is being held and barrage him with questions and denunciations until he has recanted his newly found religious beliefs. 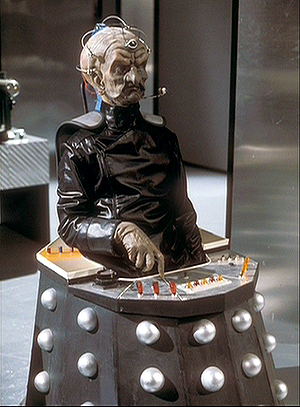 One would ask where deprogrammers get the authority to make these cosmic judgments about religious sects. What qualifications do they have to adjudge persons “brainwashed” or to apply dangerous methods of enforced behavior modification? Is this a group of psychiatrists, theologians, and social scientists? No. [Deprogrammer] Ted Patrick, for example, says he is a high school dropout. His only training appears to be a working knowledge of the Christian Bible. There is no evidence that he knows anything about eastern religions. Nor are there indications that other deprogrammers are qualified to make judgements about the mind, the soul, God, or the Unborn, Unoriginated, Unformed One. Parents’ real concern is not with any allegedly illegal action on the part of various sects, but with the process by which new members are proselytized and then confirmed in their beliefs by leaders of the groups. That process is speech. Preaching, praying, chanting, teaching, and meditating all constitute practices heavily protected by the Constitution. [People who experience conversion] can show a sense of regeneration, or a reception of grace, or a gift of assurance. What distinguishes religious conversion from more humdrum experiences of change is depth. Human beings quite normally undergo alterations of character: we are one person at home, another at work, another again when we awake at four in the morning. But religious conversion, be it sudden or slow, results in a transformation that is stable and that causes a revolution in those other parts of our personality. Jung thought that the unconscious could play a redemptive role in life. Hence, conversion can be thought of as a precipitation from the unconscious and is, generally, for the good. It reorientates the individual around a new centre of previously submerged energy. Conversion matters to James for reasons other than that it is a common religious experience. He recognises that the strongest evidence for the existence of God is found in such personal, inner experience. James examines what he takes to be the most valuable material: the best articulated and most profound records of conversion. For him, to do otherwise would be like declaring you were going to study music by excluding the work of Bach in favour of nursery rhymes, on the grounds that more people sing Three blind mice than the St Matthew Passion.